June Dudley grew up on a ranch and knows the cowboy way of life. In this image, the artist gives us a brief, intimate glimpse into a cowboy's life. 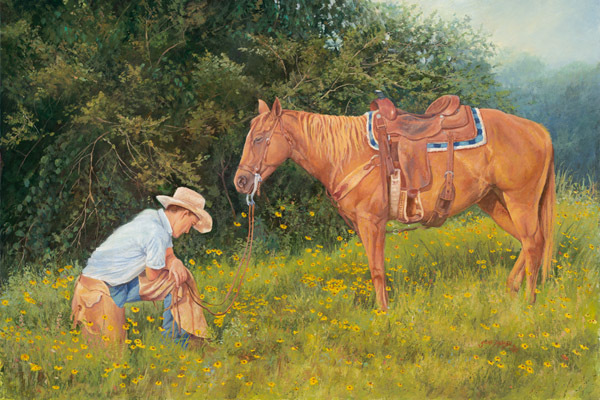 This cowhand is "Giving Thanks" as he kneels in the lush pasture. In this silent moment, he knows there is much to be thankful for.